The Batman TV series, which premiered in 1966, was so deliciously bad that you had to watch. And not in the way that some "reality TV" fans appreciate evil schemers such as Richard Hatch, or disasters-in-waiting like Danny Bonaduce. 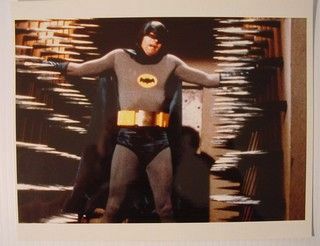 Batman was so meticulously crafted to reek of camp/kitsch (I'm not sure if anyone is sure which is more applicable here) that it's an absolute masterpiece of pop art and pop culture. Basically, the show was a hokey Silver-Age comic - including all of the visual color, contrived plots, and ridiculous dialogue - come to full, glorious life. 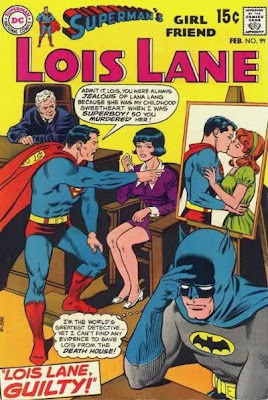 In both modern comics and films, superheroes have become increasingly dark and complex. Batman is certainly no exception. 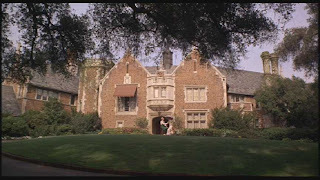 Starting with the Tim Burton production of 1989 and progressing through the recent Dark Knight, popular interpretations of Batman have chosen to focus on the psychology of the characters and the moral ambiguity of the worlds they inhabit, rather than giving us simple stories of good vs. evil. 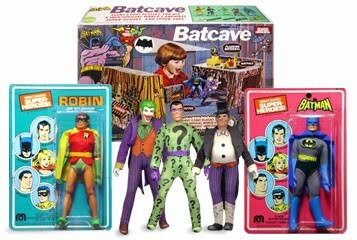 But, much like Silver-Age comics (see example on the left) the 1966 Batman show provided us with simple, cardboard heroes that espoused good and evil with a childlike simplicity. It also provided us with a boatload of laughable dialogue and horrible puns. And sometimes it's fun to forget about grim reality and just get lost in a world of colorful nonsense. Here are eight things to love about the original Batman series. 1. 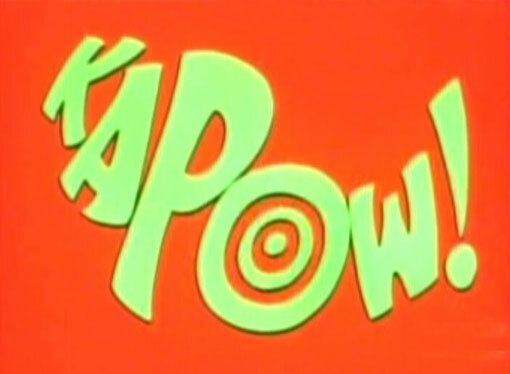 Two episodes per week - When the show hit the air in 1966 it was a monster hit. It ran two nights a week on ABC during the first season. The Wednesday night show would end with a cliffhanger - the dynamic duo strapped to a slot-machine controlled electric chair or tied beneath a meteor that's about to drop from the ceiling - and the Thursday show would wrap it all up with some miraculous escape and improbable detective work by Batman. 2. Utility Belt - A Swiss-army knife on steroids, this belt contained an improbable number and variety of cool gadgets that made the caped crusader look like McGyver (actually, more like MacGruber). Included "Batarangs" and the "Bat Goo Gun." 3. Ostentatious Villains - Bad guys who advertised their criminal nature with every available resource - maniacal laughter, garishly bright costumes, and old-school WWF wrestling gimmick names. 4. 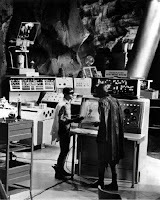 The Batcomputer - In the classic short story, "The Secret Life of Walter Mitty," Walter (who has little real-life experience with anything mechanical or technical) daydreams about a hospital machine featuring "many tubes and wires" and "a row of glistening dials." The Batcomputer is essentially a Walter Mitty invention - as a 5-year old watching this show on TV, I was fascinated by the complicated machine and daydreamed all the time about creating my own.Whenever we'd get a new fridge or dryer, my brother and I would get our magic markers and try to turn it into some high tech spaceship or helicopter. 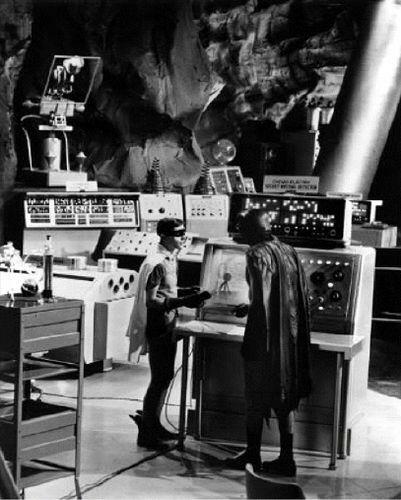 The Batcomputer was always the prototype for what the control panel would look like, though. 5. Guest Stars - Everyone from Milton Berle to Vincent Price. Apparently, celebrities were begging for guest spots on the show, as it was incredible sensation during the first season. My favorite is Alan Hale, the Skipper from Gilligan's Island, playing the part of "Gilligan," the owner of "Gilligan's Diner" on an Egghead episode. 8. Not available on DVD - Which makes this show even cooler by being elusive. It's also tough to find this on TV these days, so the memory of the show starts to take on a life of its own. I LOVE this post! Batman is to me what The Brady Bunch is to you. Well, not exactly, only because I don't have the memory for Batman Trivia like you do for The Brady Bunch, but I absolutely have some favorite things to add to your list. The Riddler. I know you mentioned the villains, but I think The Riddler needs his own category. Frank Gorshin's laugh was reason enough to tune in. So simultaneously hilarious and nefarious, it totally freaked me out. Plus, his ridiculous riddles, the speed with which Robin solved them, and the stretched logic that Batman used to apply the answers to the crime case were just insane! One of my favorite examples is when the Riddler left the following clue: “As one baker to another—how do you make a dishonest shortcake?” After a short listing of potential shortcakes—strawberry, blueberry—Robin came up with lyeberry, which Batman cleverly deduced was a “clearly corrupted version of the word, ‘library’”. Wow! That kind of reasoning is definitely enough to astound a 6 year-old. And you absolutely must include the theme song in a list like this. It’s so simple, but you gotta tap your foot to it. In fact, since I read your post, I’ve been humming it. In terms of cool gadgets, I’m pretty sure my favorites are the Super Molecular Dust Separator, the Emergency Bat-Turn paraphernalia for the Batmobile (including Alfred’s parachute pickup service van), the Batpole, and the Batphone’s direct line to Commissioner Gordon. Thanks for the nostalgia, Dan! Haha, that library riddle was great! Wasn't that the episode with the quicksand cake cliffhanger? You're right - it was ridiculous how Robin reasoned all those puzzles out. One of my favorites was the one where they figure out that they are looking for a caviar factory. "Ghoti Oeufs" was the clue - "gh" as in "rough", "o" as in "women", and "ti" as in "motion." Put it together and you get fish oeufs - fish eggs, or caviar. What was the super molecular dust separator?